April Special: Get 40% off your Sitting Fee and Beach Add-On! Our NCL shoots combine the daughter's senior portrait session with the white dress & mother/daughter session. It makes for the perfect photo experience because the hair & makeup is professionally done, you get to combine all of the images into one package, and the focus is solely on YOU! Call between 8AM and 8PM on 5/7/18 to receive 75% off of your session fee AND FREE MAKEUP FOR MOM! We will include your white dress photo & mother/daughter photo at no cost with the purchase of any package. *Your session fee include hair, makeup, & shoot. Prints & products will be ordered during a separate viewing. 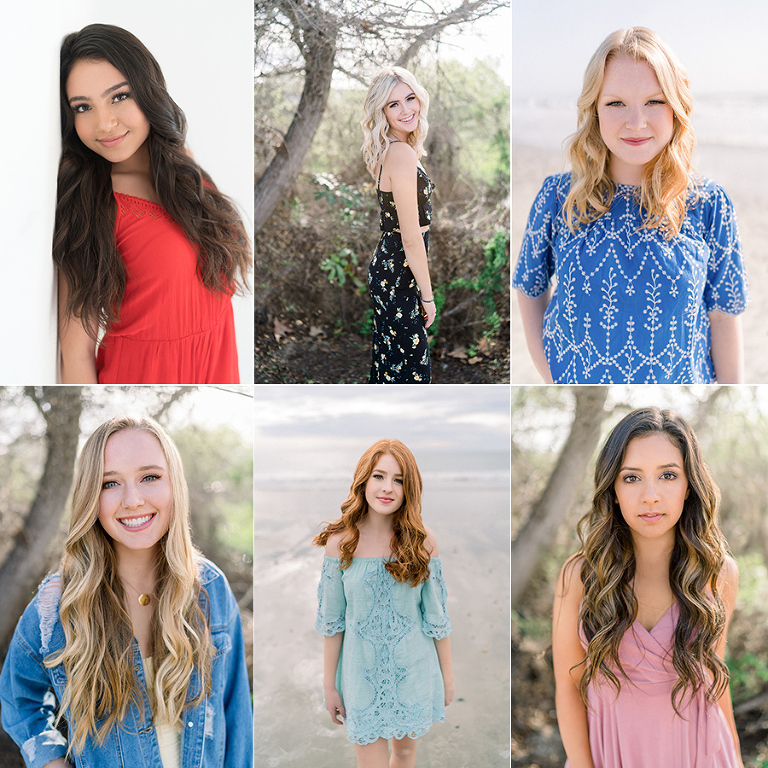 All of our NCL girls still get to experience a full senior portrait session. Our Senior Portrait Sessions are unlike any other senior picture experience. You will have your makeup professionally done and enjoy a once-in-a-lifetime photoshoot experience at our studio in Carlsbad. You can bring as many outfits as you’d like and you will be photographed in 5 of them. We love to end the session at the beach and in our courtyard for some stunning outdoor shots. Want Us To Send You A Text Reminder on May 8th? At our NCL shoots we will photograph an additional outfit - your white dress! We will photograph you in your white dress in the studio and in the garden. We will include your white dress photo at no cost with the purchase of any package. Along with capturing stunning Senior Portraits we will also capture sweet mother-daughter photos! Not only will these be an incredible keepsake for both mom and daughter but they can be submitted to NCL. We recommend that mom bring 2-3 outfits and you can choose whether you'd like to be photographed together in the studio, in the garden, and/or at the beach! We LOVE including mom's makeup at no additional cost so that you both can look your best. Click here to visit our gallery of senior portraits!